Award-winning composer, arranger, pianist, and recording artist Mark Hayes has crafted a delightful addition to his popular vocal solo series. 10 Folk Songs for Solo Voice offers traditional tunes from Scotland, Wales, and the United States, ranging from the plaintive (I Know Where I'm Going) to the passionate (Aura Lee); from the Civil War (Goober Peas) to the nineteenth century American frontier (Railroad Medley); and from comic courting songs (Billy Boy) to early popular song (Stephen Foster's Beautiful Dreamer). Available in both medium high and medium low voicings with accompaniment CD recordings. A full performance Listening CD, featuring all ten titles in a mixture of voicings, is also available. Mark Hayes is renowned for his mastery of the contemporary praise idiom. In this extraordinary addition to his vocal solo series, he has transformed seven of the most popular contemporary praise songs into vocal solos with supportive keyboard accompaniments, worthy of worship and concert hall. Available in both medium high and medium low voicings. As an added bonus, this collection boasts fully orchestrated recordings on both its accompaniment and listening CDs. Instrumental parts are also available in select keys. This stunning new addition to the Mark Hayes Vocal Solo Series features traditional favorites such as Come, Thou Fount of Every Blessing, popular contemporary songs such as On Eagle's Wings, and an inspired new song of faith by award-winning composer and arranger Mark Hayes. 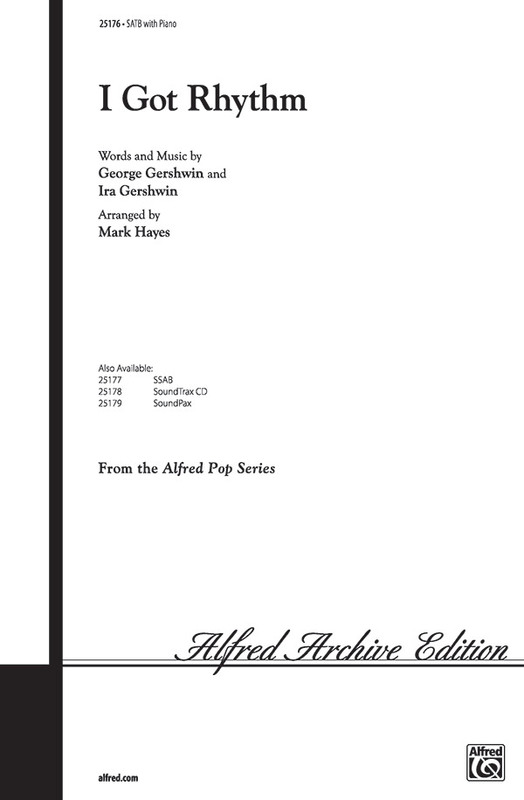 Available in both Medium High and Medium Low voicings, it includes Accompaniment recordings with Mark Hayes at the piano. A Listening (Full Performance) CD is available separately. Wonderful for concerts, contests and recitals, ideal for worship throughout the year, weddings and funerals! 7 Psalms and Spiritual Songs is a distinctive addition to the Mark Hayes Vocal Solo Series. Inspired by some of the most beloved scripture passages of all time, Mark has composed seven new songs with piano accompaniment, reflecting his extraordinary genius. Each offers a wide range of mood, emotion and style that is certain to delight performer and listener alike. 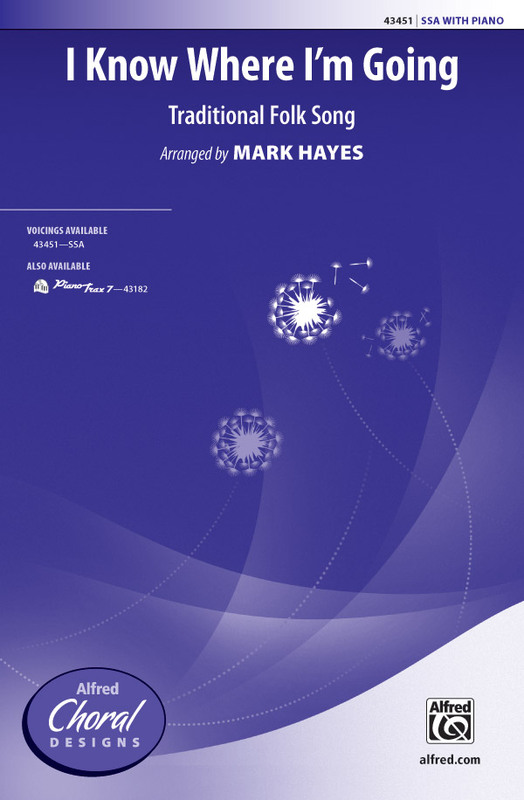 Award-winning composer, arranger, pianist and recording artist Mark Hayes has crafted a superb anthology of ten traditional spirituals for vocal soloist with piano accompaniment in true art-song style, ideal for school or church singers. Mark Hayes is an internationally acclaimed composer, arranger and performer. The recipient of the prestigious Dove Award (gospel music's equivalent of a Grammy), Mark has transformed these popular traditional spirituals and gospel songs into refreshing, contemporary classics. Appropriate for performance by school, community and church choirs, these five outstanding arrangements are choral standards, a distinctive addition to your choir library. For the first time, four of Mark's best a cappella spiritual settings are published as a collection. These spirited titles are filled with Hayes' signature jazz-tinged harmonies, call and answer writing, engaging syncopations and show-stopper endings. Program that separately or as a Mark Hayes "set" in your next concert. For high school, college, community and church choirs who like a challenge. Settings of poems by children of the Holocaust. Displaying 1-50 of 185 items. Uses: Christmas, Christmas Eve Scripture: I John 4:16 Love came down on Christmas Day and changed the world forever. Even today, the eternal messages of unity and charity compel our hearts to gather at the manger and adore the Bringer of Light. A precious melody and arrangement decorates this timely thought for the season. Mark Hayes' setting of this hymn is as timeless as the text and tune. 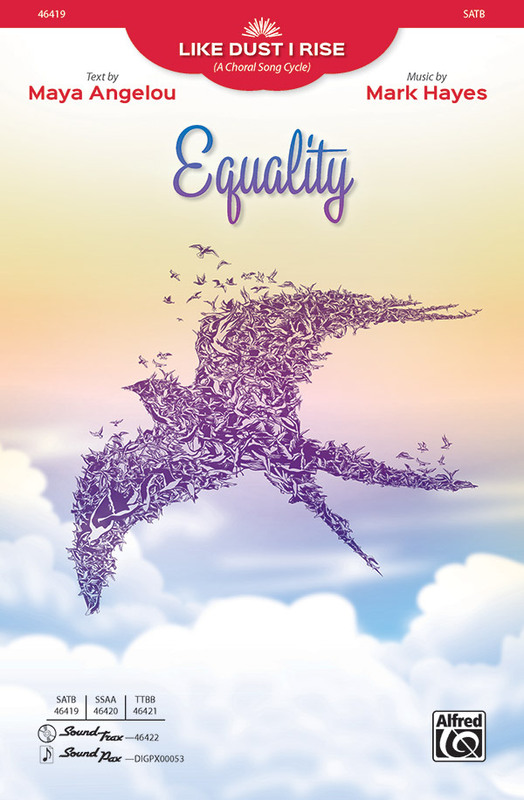 A bestseller in the Hal Leonard Sacred catalog, we proudly present this piece again, so that every choir may have the opportunity to enjoy and worship using this spectacular rendition. In 1929, Fats Waller made this a standard and, in 1984, it won the Grammy Hall of Fame Award. Today, this new and lively arrangement has an upbeat piano accompaniment along with superb optional instrumental parts that add to the swingin' vocals. Arranged for mixed as well as women's voices, this is sure to be a hit! Rarely has a song had such impact with the sacred culture than with this wonderful gospel ballad. Master arranger Mark Hayes has takes Bill and Gloria Gaither's classic and infused it with renewed power and joy. With the full orchestration and accompaniment track, large and small groups alike can lift this affirmation of life as never before. Stand back for this fantastic new arrangement from the current hit musical revival on Broadway, Hello Dolly! Beginning with an expressive solo, the choral begins to come alive in tempo and energy until the final chord. Available in voicings to suit just about every performing ensemble with optional instrumentation, you'll feel like you're on Broadway with every performance! Irving Berlin's much-recorded song from 1926 takes a sultry and sophisticated turn with this dynamic, jazzy arrangement that includes optional rhythm, flugelhorn and flute. The song is a symbol of cheer of being in love. Blue days, all of them gone. Nothing but blue skies from now on. An American Songbook treasure. Mark Hayes waves his musical magic over two popular selections Toyland and Christmas Was Meant for Children, creating this medley of innocence and joy. Blend, lyrical singing, and the use of solos fill the work, while the orchestration is full of wonder and beauty. A true highlight for your holiday program! Available separately: SATB, SSAA, SAB, 2-part, StudioTrax CD, Parts for Master Rhythm, Synthesizer, Harp, Violins 1 & 2, Viola, Cello, Double Bass. This jazz standard by Duke Ellington and Bob Russell is an American classic. Mark Hayes has captured its flair in a choral that's perfect for concert choirs or smaller ensembles such as jazz and show choirs. The big band instrumentation compliments with class and accentuates the style of the piece. Utilizing all the resources of your music program, this festive anthem speaks to the very foundations of our faith. Hayes calls upon children and youth choirs, along with handbells, to declare the worthiness of the Eternal God. Reformation Sunday or any church heritage moment would benefit from the programming of this distinctive choral. With a driving energy, this anthem really sparkles with the energy of the announcement of Christ's birth on the first Christmas night. With the careful craftsmanship of Mark Hayes, this song maintains a celebrative mood from start to finish. Mark Hayes : Glory to God! With a driving gospel rock feel, this fusion of the traditional Latin mass text with words of priase is fresh and encouraging. The optional instrumental parts will enhance the moment. Truly a celebration of worship and praise which will really raise the roof!Available separately: SATB and IPAK(ensemble). Audio available on BonusTrax #08743349. Uses: Ordination, Revival, Commitment Scripture: Isaiah 6:8; I Samuel 3; Matthew 5:16; Luke 9:23 Mark Hayes places his special touch on this modern day classic and the results are a moving portrait of commitment and service. Resplendent with this composer's usual color and originality, this best-seller is essential repertoire for ordination services, revivals and services of commitment and confirmation. One of the most performed sacred songs of our time is brilliantly arranged and orchestrated by master composer Mark Hayes. The words of Psalm 8 spring to life in this modern classic made all the more powerful by the arranger's theatrical approach to the anthem. The full orchestration and the track options provide choirs of every size the opportunity to sing this amazing testament of praise! While the origins of this sublime love ballad are uncertain (either Ireland or Scotland), its beauty is undeniable. The melancholy traditional text speaks of trading all worldly trappings for "handsome, winsome Johnny," and Mark's skillful choral writing is pure elegance for women's choirs. Mark Hayes's version of the long-time favorite hymn exemplifies the arranger at his best. The freely sung opening solo, a cappella section, and luscious harmonies make this one special, indeed. I Surrender All incorporates great feeling with each phrase, creating a memorable moment in the musical life of your church. This traditional song is truly a gem of the American folk tradition. Mark has chosen to set a gospel version in the spirit of some of today's great gospel artists. The piano accompaniment nicely complements the moderate gospel swing style, and the vocals are accessible, using unison/two-part writing and call-and-response, while opening up for phrases of really wonderful harmonies. The Sing a Merry Christmas! Series offers three medleys of contemporary anthems. Each has optional narration/drama which can be added for a special touch. Perform the medleys separately during the Christmas season, or together to create a complete Christmas mini-musical presentation. It's a Wonderful Christmas, arranged by Mark Hayes, includes: The Most Wonderful Time of the Year, The Christmas Song (Chestnuts Roasting on an Open Fire), Because It's Christmas. Available: SATB, Instrumental Pak, ChoirTrax CD. 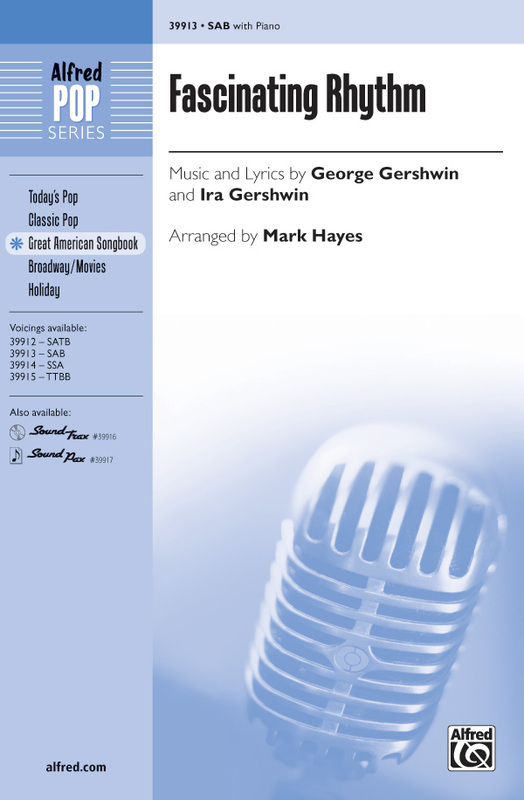 Meredith Willson's famous song is wonderfully arranged for choirs by Mark Hayes and has a terrific piano accompaniment, as well as optional orchestral parts. The introduction is captivating and paints the magic of the holidays while the heart of the song ends with a big and broad finish. A choral classic for all ages! Available separately: SATB, SAB, 2-part, Digital Orchestration, StudioTrax CD. Duration: ca. 3:20. 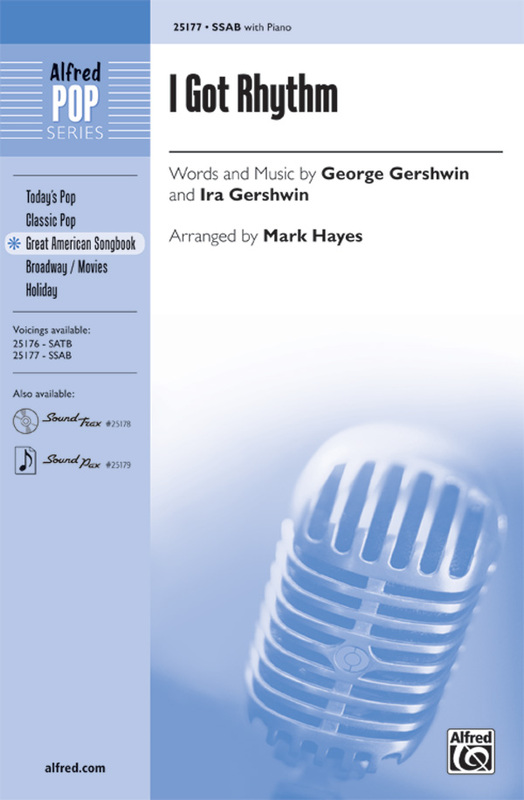 Meredith Willson's famous song is wonderfully arranged for choirs by Mark Hayes and has a terrific piano accompaniment, as well as optional orchestral parts. The introduction is captivating and paints the magic of the holidays while the heart of the song ends with a big and broad finish. A NEW choral classic for all ages! Available separately: SATB, SAB, 2-part, Digital Orchestration, StudioTrax CD. Duration: ca. 3:20. 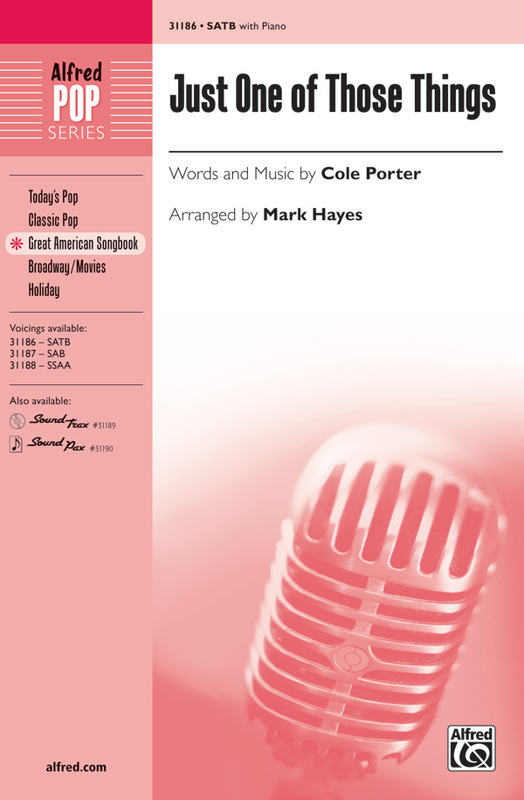 This Cole Porter classic has been given a fresh and unique musical treatment by award-winning arranger Mark Hayes. It opens with the verse up front, then moves from a slick 2-beat with a walking bass line into a jazzy and kickin' swing tempo. Great for groups of all sizes and ages.